This week’s LLOTW is CSI:Miami’s Emily Proctor. Her TV roles include: CSI:Miami, The West Wing, CSI:New York, Early Edition, and Lois & Clark. Her film roles include: Big Momma’s House 2, Submerged, The Big Tease, Body Shots, and Kingdom Come. This week’s LLOTW is G4TV’s Layla Kayleigh. This beautiful Brit has been getting her hustle on this year. She is just about everywhere nowadays. She has her duties on G4 on the show “Attack Of The Show” during her segment,” The Feed”. But that’s only the beginning of what she has got on her plate right now. 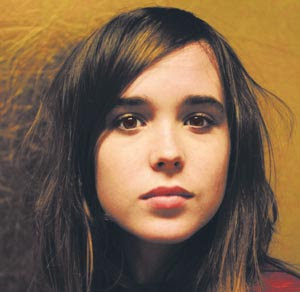 This week’s LLOTW is X-Men: The Last Stand’s Ellen Page. Her film roles include: Jack & Diane, Hard Candy, The Light House, Smart People, Juno, & The Stone Angel. This week’s LLOTW is Kim Kardashian. Kim has got several projects in the pipeline coming out soon.This month she has a great little swimsuit layout in King Magazine coming out. She recently did Complex magazine and a video for Fall Out Boy. Kim recently inked a deal with Ryan Seacrest Productions to star in a reality TV show for his company. She also has just inked a deal to become a Pussycat Doll for some shows in Las Vegas at Caesar’s starting in September. This week’s LLOTW is Japanese swimsuit model Haruna Yabuki. This 22 year old has come out of nowhere to become a fast rising star in the swimsuit modeling biz…. This week’s LLOTW is Waiting’s Vanessa Lengies. Her movie roles include: Waiting, Stick It, Buster’s Class Project, The Perfect Man, and The Substance Of Things Hoped For. Her TV Roles include: Monarch Cove, Arthur, Ghost Whisperer, American Dreams, 8 Simple Rules, and Lassie. This week’s LLOTW is The Messengers’s Kristen Stewart. Her Film roles include: What Just Happened, Yellow Handkerchief, Into The Wild, The Cake Eaters, In The Land Of Women, And Zathura.